Dr. El Zein demonstrates proficiency in all aspects of her career and is considered an expert in nanotechnology, computer vision and data communication over power lines. Since 2017, she has served as the Dean of Scientific Research at the University of Business and Technology in Jeddah, Saudi Arabia. She has been the Director of Research and Consultation Center at the institution since 2015. Her career in academia began in 1999, when she began as an instructor at the Jeddah International School. Throughout the years, she took on teaching and research positions at Dar Al Hekma College and the King Abdullah University for Science and Technology. Furthermore, Dr. El Zein has been an engineering consult for NASACO since 2001 and a researcher for USTL since 2008. Drawn to these fields at an early age, Dr. El Zein earned a Master of Science in engineering at Lebanese University in 1999. She completed a PhD in nano technology at the University of Sciences and Technology in Lille, France in 2012. In addition, she has become certified as a PMP, CMCS-PMI, and as a CCNA with the Chamber of Commerce in Lebanon and a Certified MTT with Microsoft New Horizon in Jeddah. In recognition of her work, she was named a Solar Pioneer by MESIA in 2015 and received an Achievement Award from Harriri Foundation. In 1993, she earned the second prize from Lebanese TV. In addition, she received two grant awards for research in nanostructures for photovoltaic applications. In 2017, Dr. El Zein was the recipient of the Albert Nelson Marquis Lifetime Achievement Award. On top of these accolades, Dr. El Zein has contributed various published works in her fields. In 2013, she authored “ZnO Nanostructures for Photovoltaic Applications.” She has contributed to articles and scientific papers and her work has appeared among the pages of Nanotechnologist, Technology Transfer and Translational Researcher. 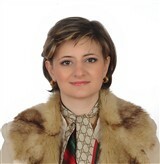 She has been the WIE Chair of the IEEE since 2009 and the Programming Competition Chair for the institution since 2008. Furthermore, she has maintained professional affiliation with the Engineering Syndicate, the Project Management Institute, the Materials Research Society, the ECS, the SPIE, the Institution of Engineering and Technology, the American Association for the Advancement of Science, the Association of Accredited Small Business Consultants and the AUTM.